Meet the core of Petals by Design! 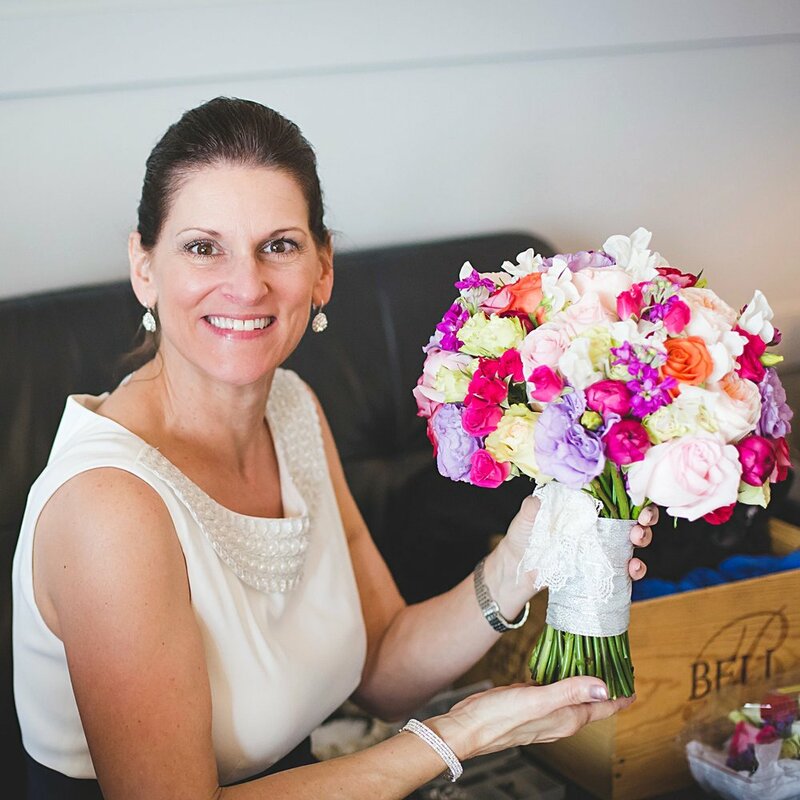 Lisa began Petals by Design in 2004 with a handful of weddings and her "side hustle" soon blossomed into a full-time business serving over 100 events annually. Our client reviews speak for themselves and she considers it an incredible compliment to receive so many personal referrals from previous clients. With over 22 years of experience in the floral industry, she has seen styles come and go but one thing is always the same - PEOPLE LOVE FLOWERS! Lisa resides in the Katy area with her husband and fur-babies. Laura's passion to help people defines her style and grace. She never stops creating new techniques to execute designs and gives constant attention to details to make sure the finishing touches are perfect. You will often see her checking "one last time" at an event to be certain that everything is set up perfectly. Laura planned three of her daughters' weddings and can share from this knowledge with her clients. Laura lives in the Houston area with her husband and youngest daughter. She has four daughters, three sons-in-law, three grandsons and one granddaughter who are a constant source of inspiration.